We work with a lot of small businesses, and we know how hard it can be financially to market your business. If you don't have a website, you're not in the game. You need professional-looking brochures and flyers people can download. 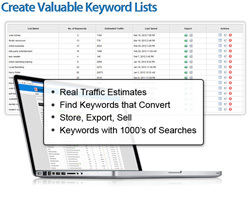 You need to be found by search engines. Doing all this yourself takes time, and as we know, time is money, especially when you're running your own business. But most website and marketing companies charge a bomb, right? Arion Productions is a business communications company - that means we help you with all aspects of communicating what you do to the big wide world. You can use as little or as much of our service portfolio as you wish. Whether you simply want a brochure designed to an existing look and feel, or a whole new identity for your company including a website, we can do it. We can even take photographs for you. Importantly, we can help you write compelling copy for your marketing materials and media releases, so your company has a professional identity. Best of all, this service doesn't cost the earth. Contact us to find out more.